Don’t throw away another brown paper bag! This simple design made out of cotton fabric is durable and sure to keep your lunch well protected. It is generously sized with a pocket on each side for cutlery and your cell phone or iPod™. Its’ soft handle makes transporting easy and stores flat or roles up. 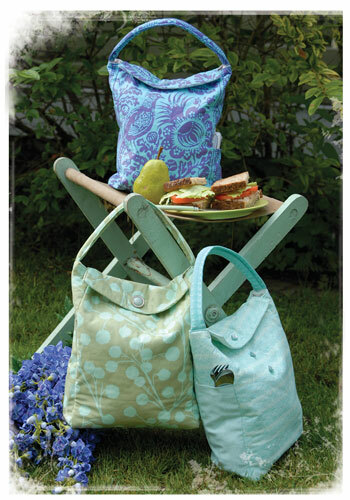 Best of all, this lunch bag can be made out of 4 fat quarters, should leave you some change for a few groceries!